Sunday to face the Bison (3-27-1, 0-10 NEAC) at Hoy Field, a turf surface. minutes after the conclusion of the first game. April 28) at 1 p.m.
public presentation during their campus visits next week. Athletics Department, and will take questions after their presentations. 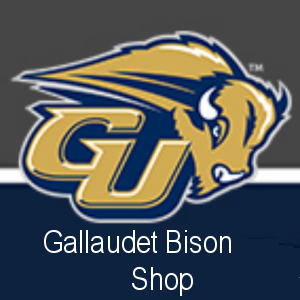 student.affairs@gallaudet.edu by Tuesday, May 1 at 12 p.m. Specialist degree in educational leadership from Gallaudet. and to seeing you at their public presentations. does not have a Home Meet, we will be celebrating them on the same day! on Tuesday May 8! Open the attached flyer and see you there! also played on the 2008 World Championship volleyball team in 2008. Chrissy teaches Physical Education classes with the elementary department. It was Edward Dudley, member of class of 1971.
he was slow and missed some games due to injuries. losing record (7-13) in that 1970-71 season. He did not play in the AAAD, according to a source.